Greencoat UK Wind plc (UKW) said on Thursday it agreed to acquire the Douglas West wind farm seven miles south west of Lanark from Blue Energy in a roughly £45 million deal. Greencoat UK Wind plc — an investment trust, or closed-end fund — is a listed renewable infrastructure fund. It is managed by Greencoat Capital LLP, a renewable investment manager with more than £3 billion of assets under management across a number of funds in wind and solar infrastructure. Douglas West will have a total capacity of 45MW, and will be subsidy free. Construction is expected to start in 2019, with commencement of commercial operations targeted for July 2021. 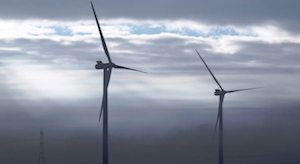 “Acquisition and construction costs will total approximately £45 million over the period January 2019 to July 2021, which is expected to be funded through reinvestment of UKW’s excess cash flow,” said Greencoat UK Wind. Stephen Lilley of Greencoat Capital added: “During 2018 we have continued to build our portfolio with investments and commitments totalling over £500 million, of which approximately 70% are in ROC accredited wind farms.